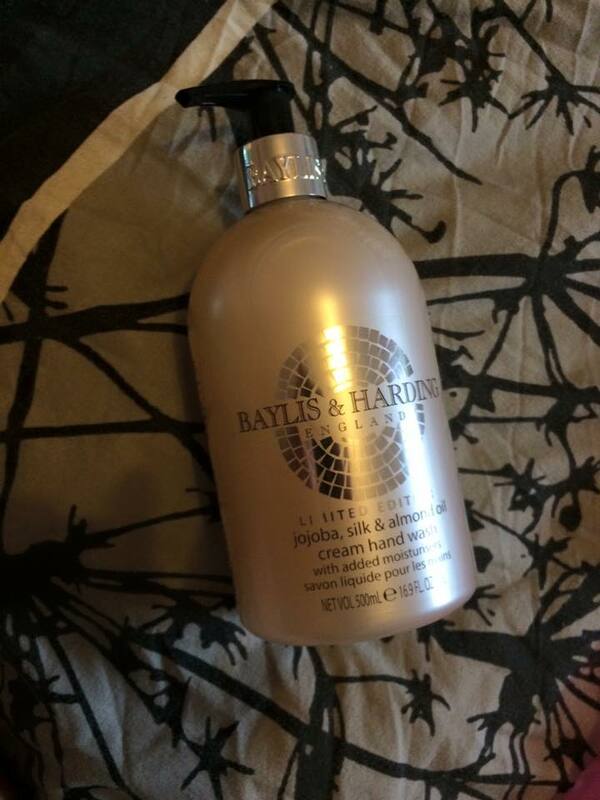 Baylis and Harding jojaba, silk and almond oil creme hand wash.
Hand wash, wow, how exciting. But it needed to be bought, I am a big fan of Baylis and Harding products, (perfect time to pitch my Baylis and Harding hand cream review). This hand wash smells great but the almond scent is a little strong when you smell it at first but the scent fades very quickly. 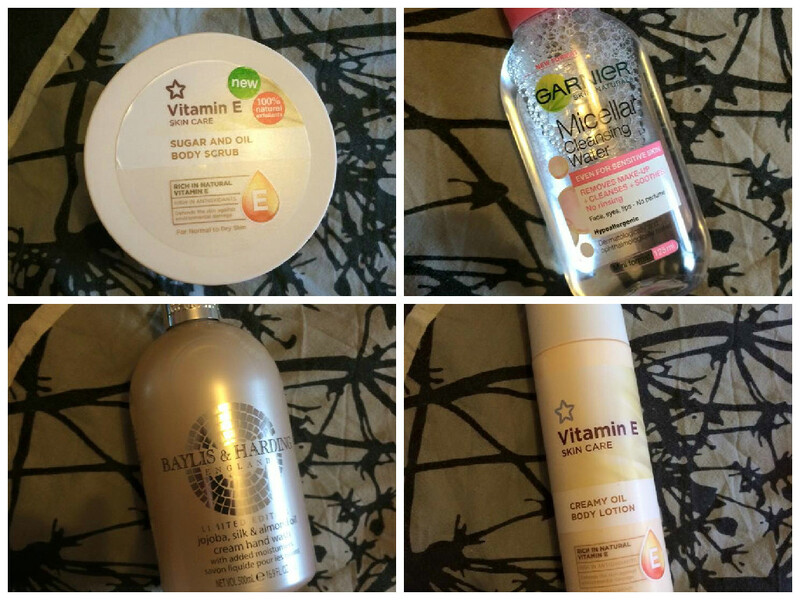 The hand wash leaves your hands smooth without irritating the skin. 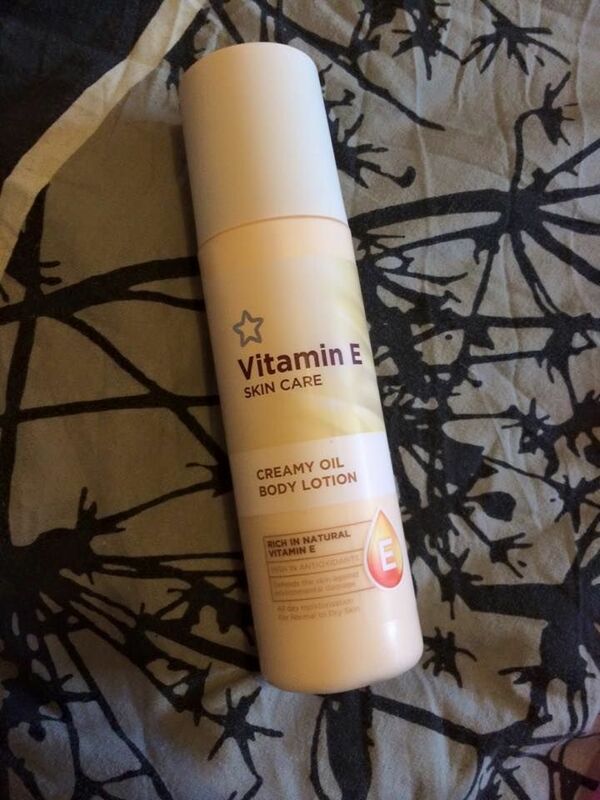 I love anything with vitamin E in it, it really helps sooth irritated skin, great if like me you suffer from eczema. This body lotion leaves my skin really moisturised for hours just don’t put too much on as it can leave your skin a little oily. 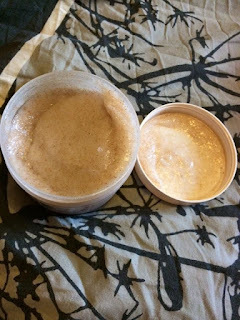 My beloved Soap and Glory Sugar Crush body scrub has finally run out, sob! 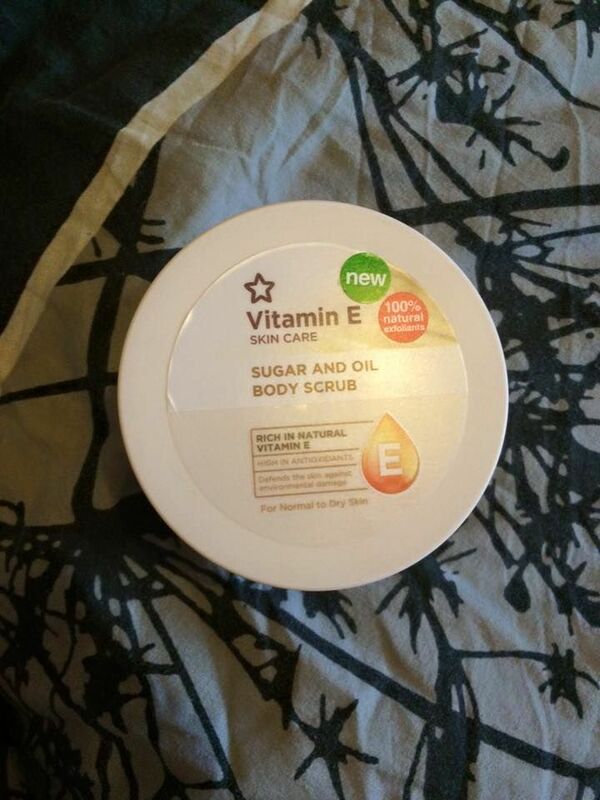 As I am a bot strapped for cash at the moment I decided to look for a cheaper alternative and for £2.65 it seemed silly not to give this body scrub a whirl. 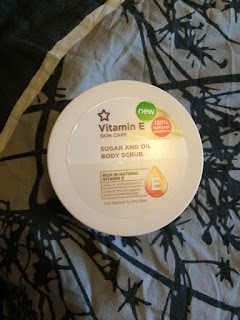 While it doesn’t work as well as sugar Crush (you need to use a bit more of the product for it to work) it does work well enough it leaves my legs feeling soft and reduces any redness there might be. Perfect as it’s starting to get hotter here in the UK. If I’m being honest I’ve never gone for a cleansing water, worrying that they were a massive con. But I caught sight of this little bottle for only £1.30 so I decided to give it a try. Boy am I glad that I did! 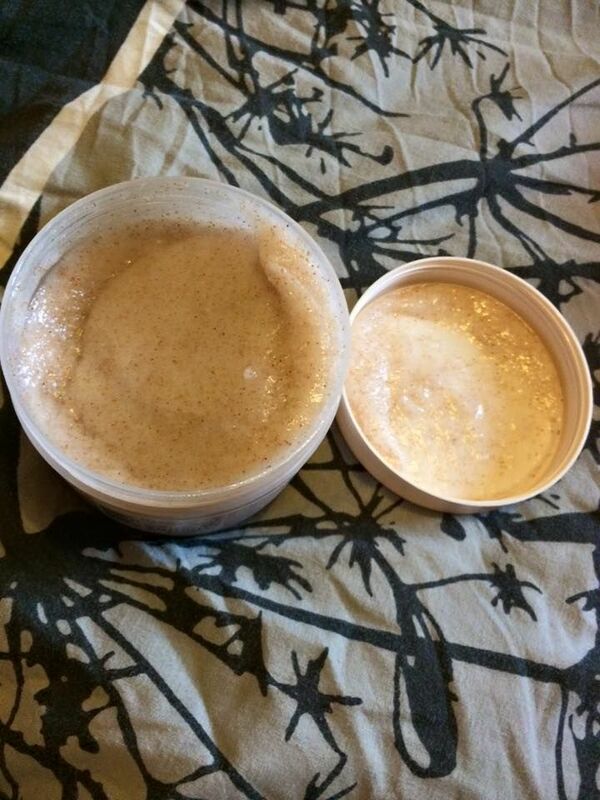 This cleansing water removed all my foundation with just one cotton pad which I applied only a couple of drops of the water to. 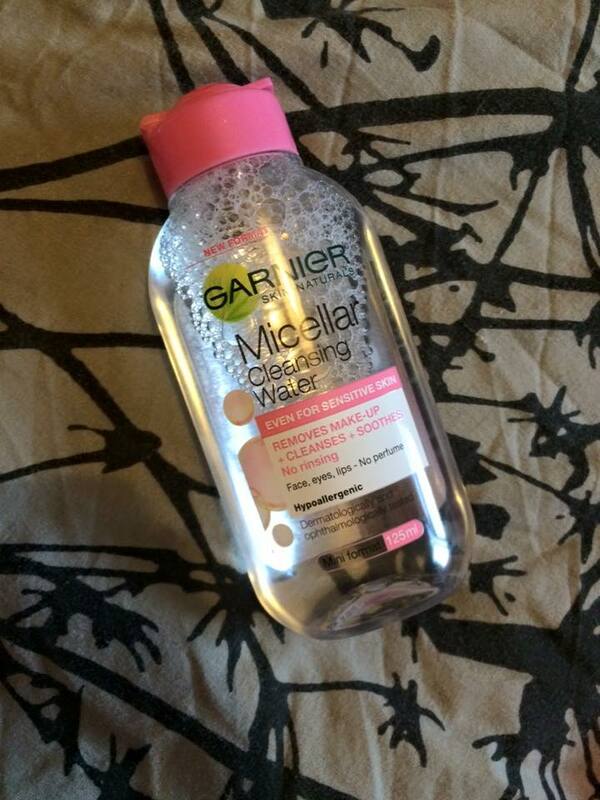 My face felt so clean and fresh after using this water that all my doubts about cleansing water are no over. I hope you enjoyed this little haul and mini reviews, have you tried any of these products?